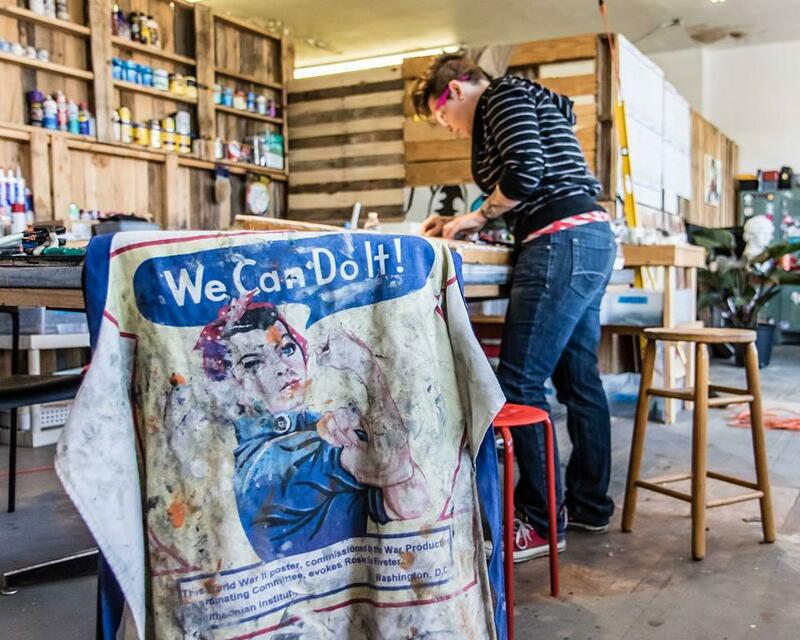 Artist Jes McMillan founded the nonprofit Mosaic Institute of Greater Dayton. A Dayton artist is working on a new way to memorialize victims of the nation’s devastating opioid epidemic. The memorial is the brainchild of mosaic artist Jes McMillan, founder of the Mosaic Institute of Greater Dayton. McMillan, owner of Crane Studios Market, is also behind an ongoing effort to designate an official East Dayton Arts District, beginning with painting a train overpass near the intersection of E. First and N. Keowee Streets. McMillan says the goals of establishing the district include unifying the existing artists and arts organizations already working on the east side, cleaning up and beautifying neighborhoods and erecting new signage within the district's boundaries. "Developing a brand, putting the name to the area and these experiences within the area is going to help us market and draw in those people in the suburbs that we need to come in and start support the arts and the downtown area," she says. "We'll have people coming into the downtown area, spending money and eating at the restaurants and learning more about all the things we have to offer down here, not just the arts." McMillan says she also hopes installing new murals and signs around the district could promote community pride and help to promote a more positive image of the East Side, which, she says, many people associate with crime and drugs. Her opioid memorial project was an audience favorite at economic development group UpDayton’s community funding contest last month. Now, she’s working with the city to finalize a location for the memorial. She says the contest winnings of $3,000 in seed money and a year of volunteer support will help jumpstart the project. When it opens early next year, she hopes the public art installation will come to symbolize hope and healing in the Dayton community, which has been hard-hit by the state's ongoing opioid epidemic, says McMillan, who lost her own mother to a drug overdose in 2001. 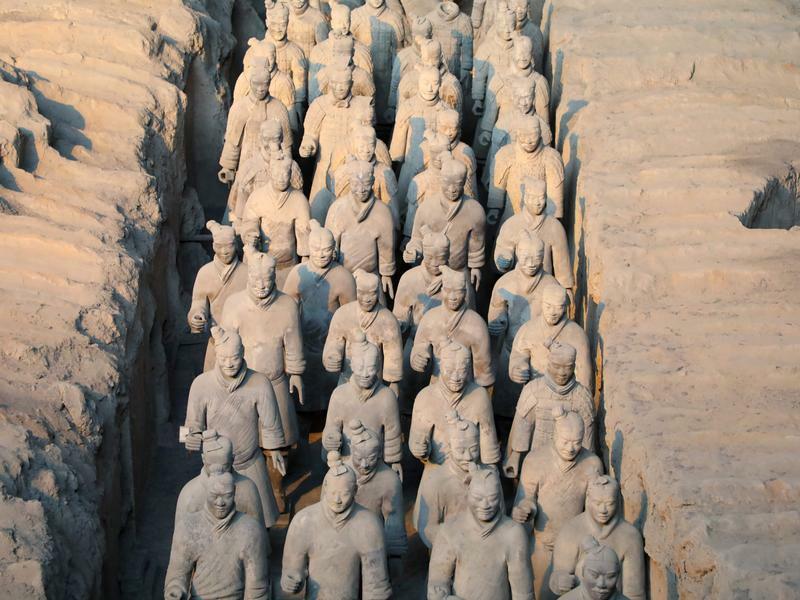 A Chinese archaeologist who identified a long-lost clay army consisting of 8,000 soldiers died Wednesday, according to China's state media. Zhao Kangmin first laid eyes on fragments of terra cotta warriors in 1974. Farmers some 20 miles from China's central city of Xi'an were digging a well and struck into the pieces. Some years ago, a collector took an old Confederate bank note into a North Charleston blueprint shop and asked an employee to have it enlarged. 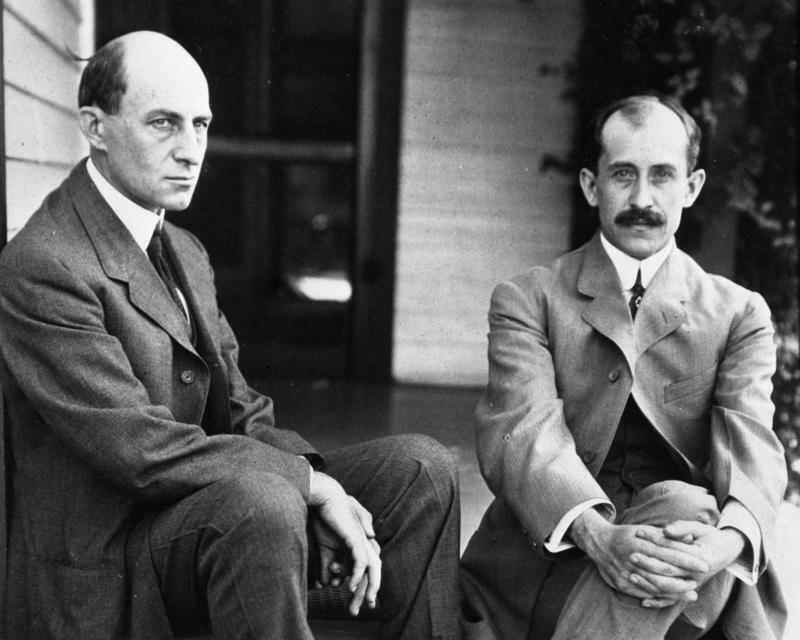 The employee, John W. Jones, was also an artist. Taking a magnifying glass to the bank note he noticed an image of a black field hand picking cotton. 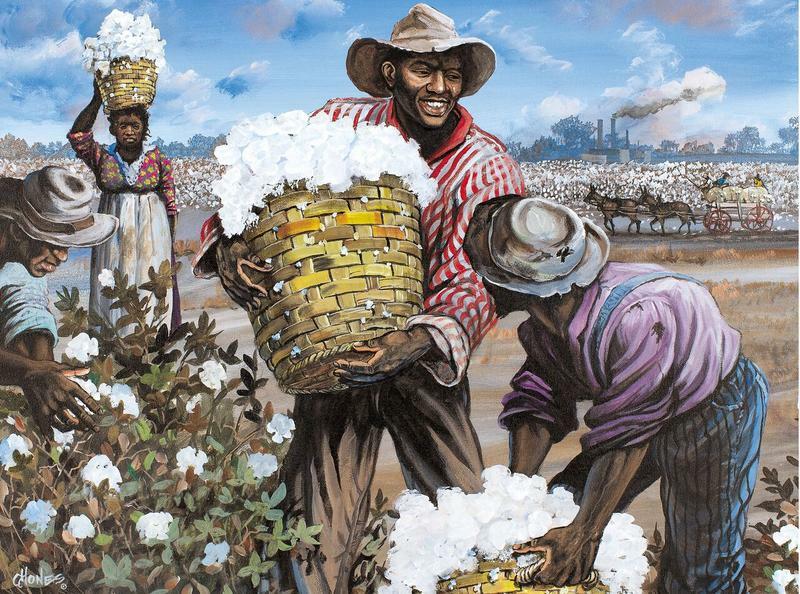 Through subsequent research, he discovered that scenes of slave labor were used on Southern currency in the mid-19th century as a response to abolition. Jones began painting the images he saw on these bank notes.